A gift to GHC Robotics helps our students achieve! The Robotics team is a home for students to gain hands-on experience with engineering in a professional environment, while providing opportunities to make an impact on the community. The Robodox are motivated and passionate about our work. 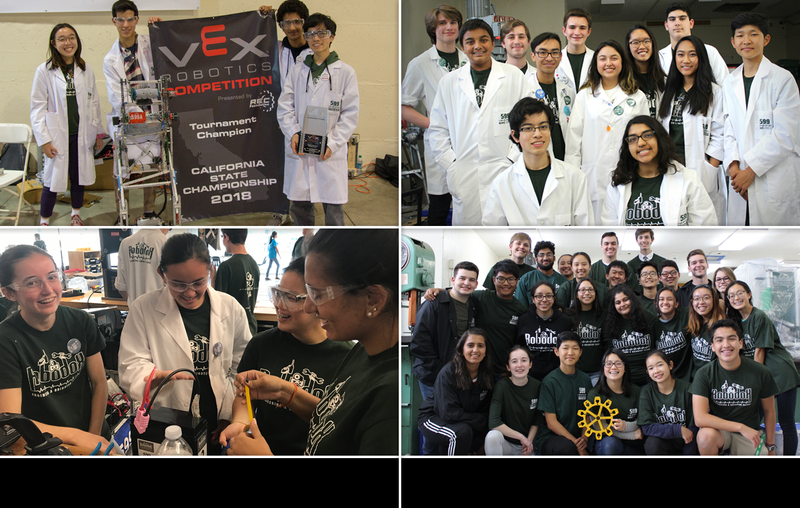 Our goals are to win regional competitions and perform well at the World Championships for both VEX and FRC (First Robotics Competition). We also hope to make a positive impact on our community and show gracious professionalism to all teams, regardless of opponent or ally. Your contribution will help fund team transportation, competition hotels, competition fees, community outreach programs, the machine shop, and electronics and computers. Please join us in our journey of reaching our goals! Our son is enjoying this program and is challenging him to practice technics that will help him for his future. Awesome program!